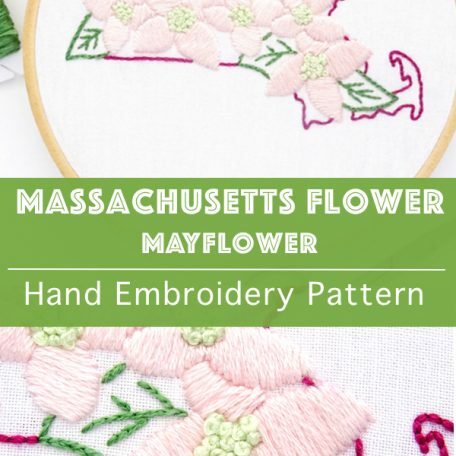 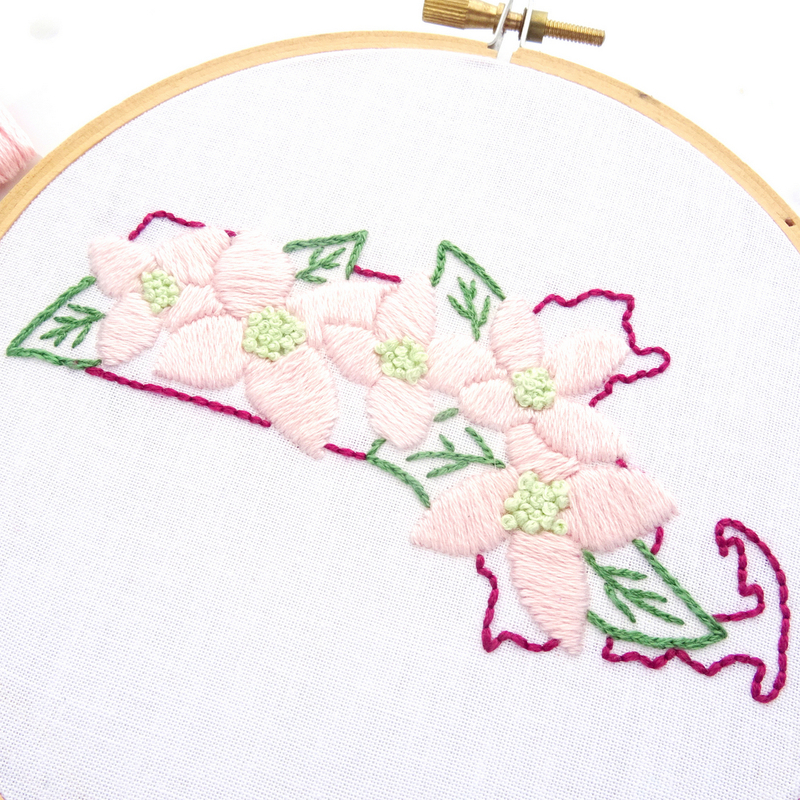 With more than twice the votes, the lovely little Mayflower defeated the Water Lily in a statewide vote of school children to choose the Massachusetts state flower. It seems that only fitting given that this evergreen shrub with delicate, pale pink blossoms bears the same name as the ship that brought the state’s most famous residents, the pilgrims, to its shores. 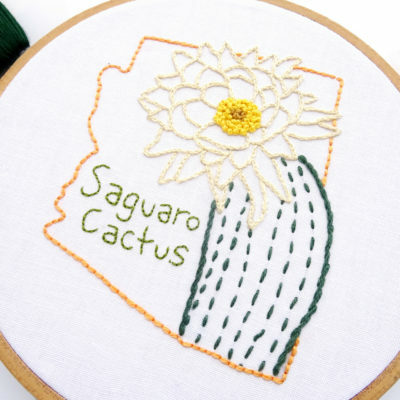 A plant very much ubiquitous in the American West, the low growing Sagebrush dots the deserts and rangelands with silvery foliage. 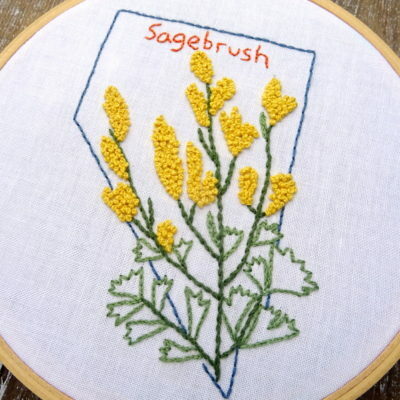 In the late summer, sagebrush bursts forth with clusters of muted yellow flowers that bring a welcome splash of color to the hillsides and lowlands. 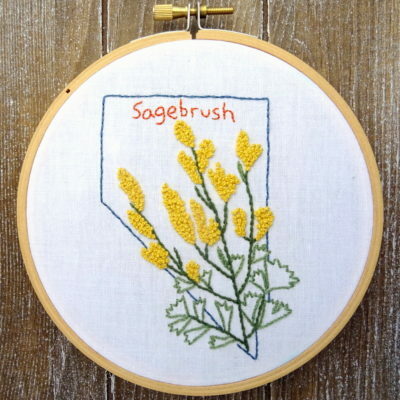 In 1917, it was adopted as the official Nevada state flower and can also be found on the state flag as well as the commemorative state quarter. 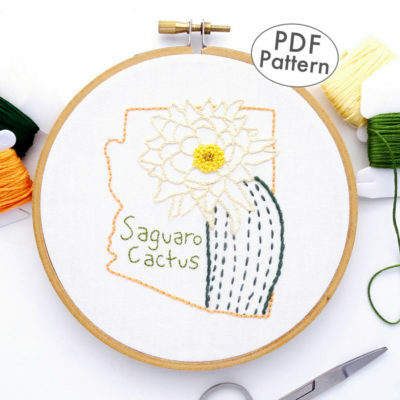 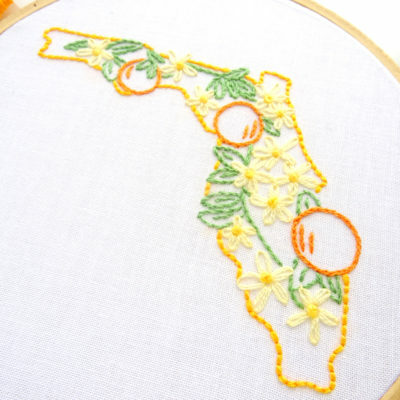 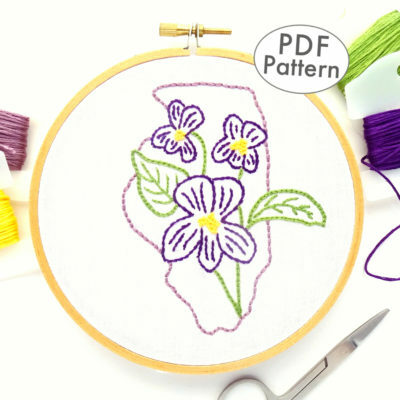 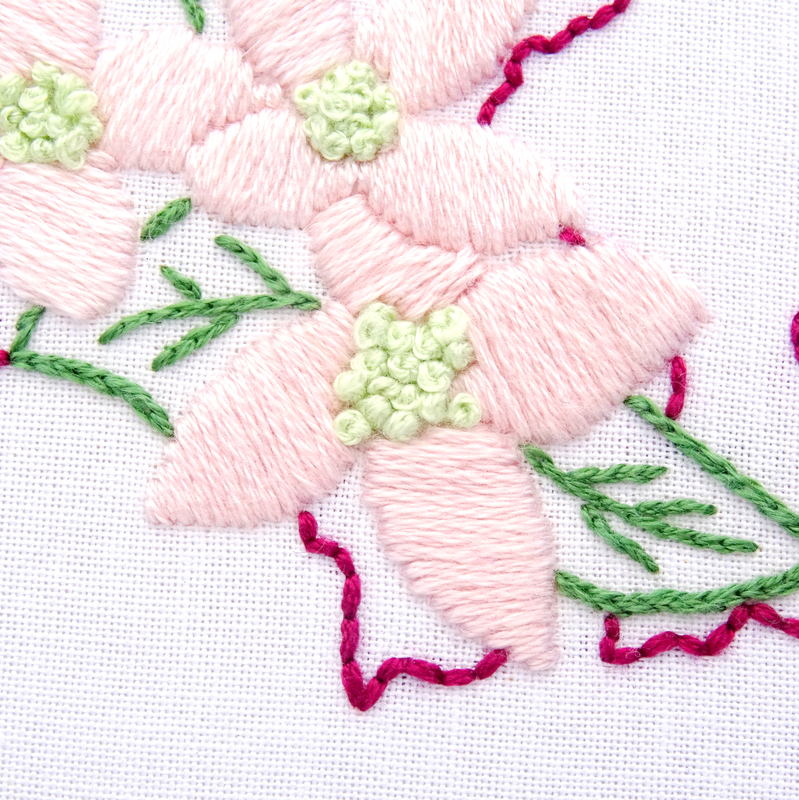 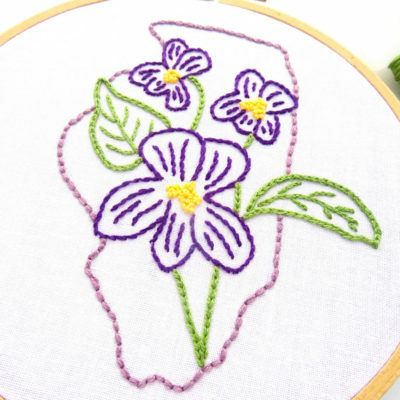 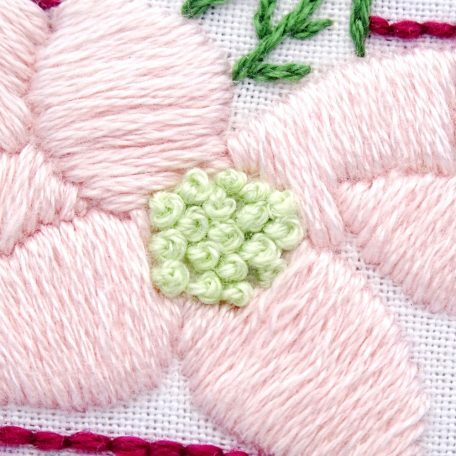 A full-color photo of the finished embroidery pattern. 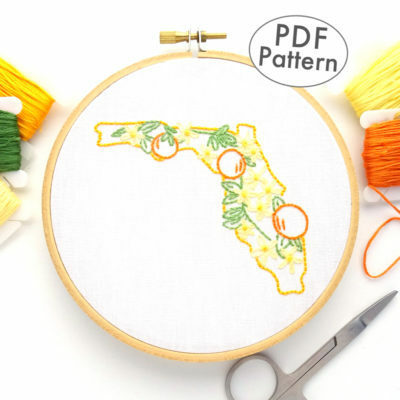 2 black and white patterns sized for either a 5-inch or 7-inch hoop. 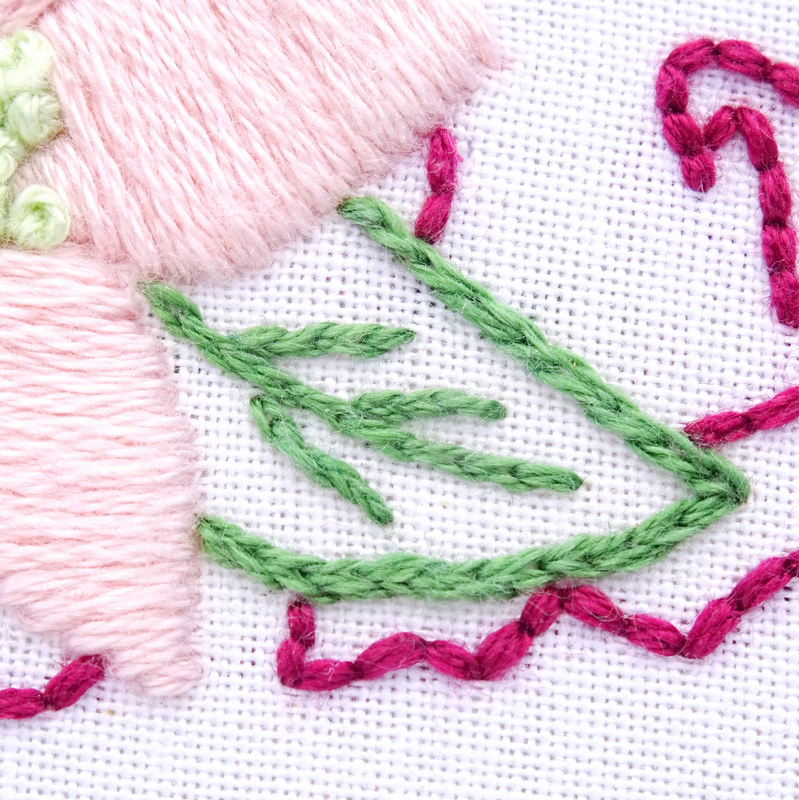 Reverse images of the pattern in both sizes to be used for iron-on transfer methods. 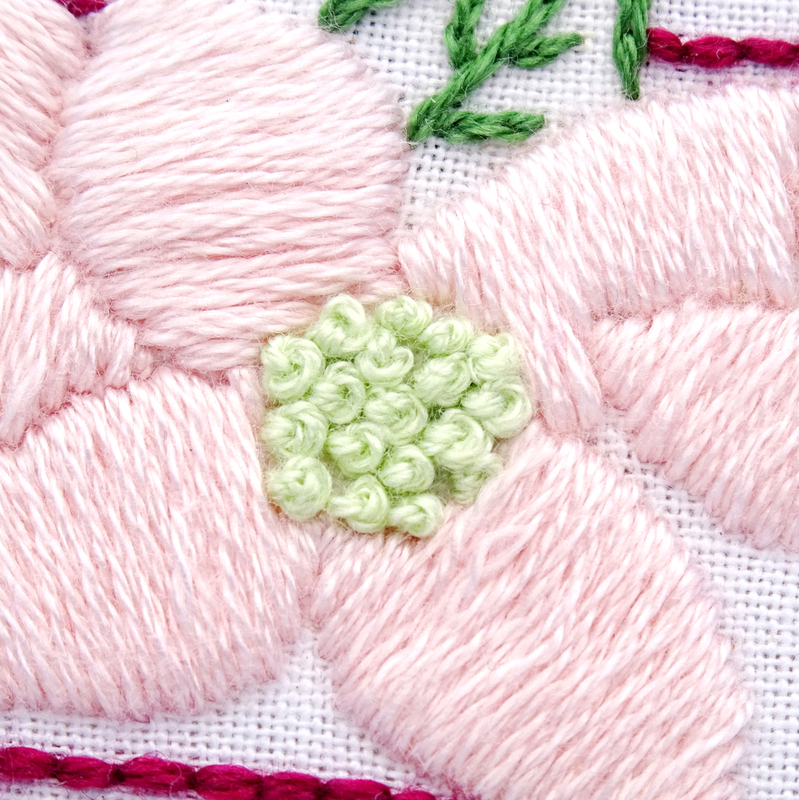 A stitch and color guide to provide guidance or inspiration. 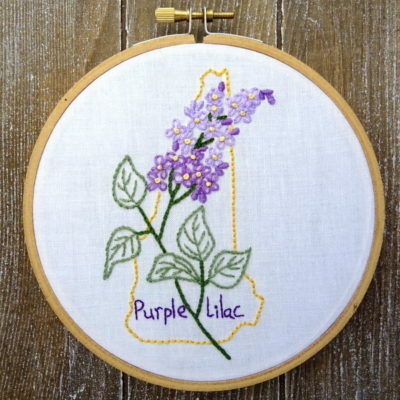 The native purple lilac can be found growing in moist, soggy wooded areas and in the acidic soils of pine-oak forests around New Hampshire. 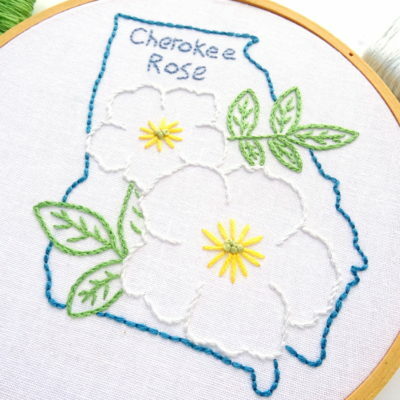 The sweet-scented flower can also be found in the yards and incorporated in landscapes all over the state. 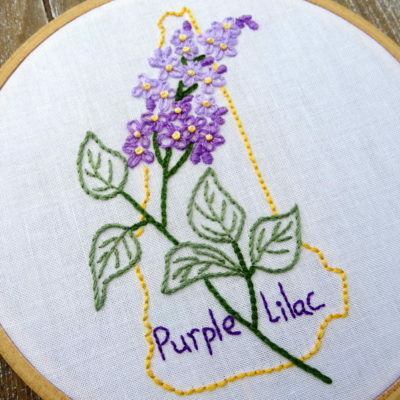 Purple Lilac is cherished not only in New Hampshire but by gardeners all over the world for its large showy blooms and delightful fragrance. 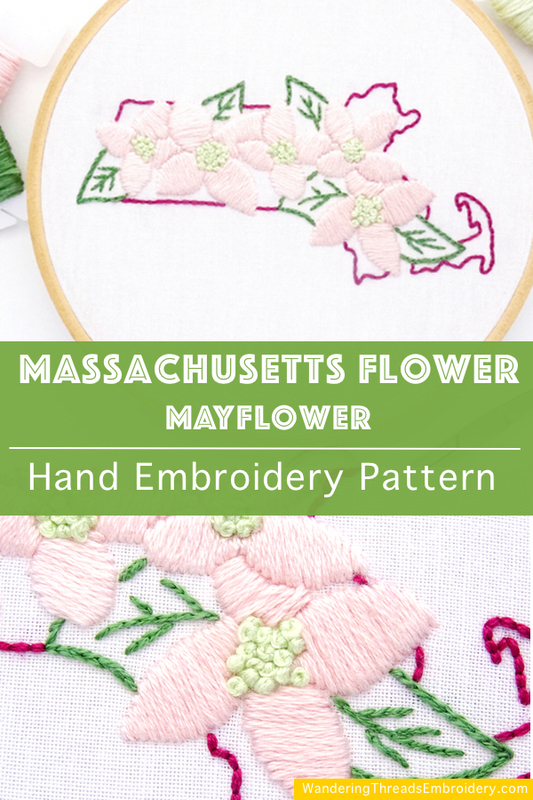 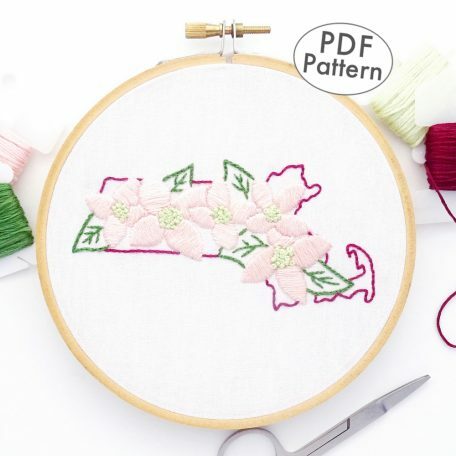 Did you know that Maine is the only state where the state flower that is not actually a flower? 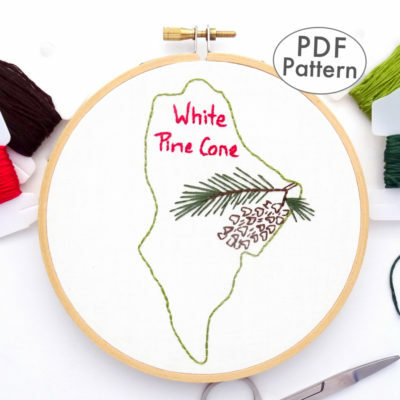 Commonly known as the Pine Tree state, Maine adopted the white pine cone as their official floral emblem in 1895. 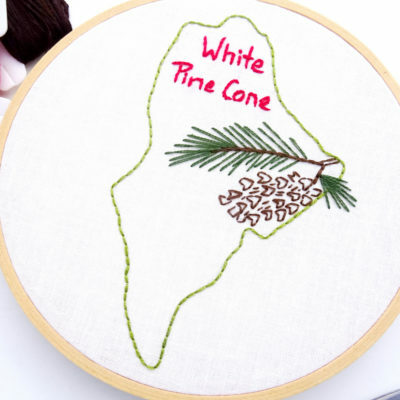 The tall white pine dominates the state’s landscape from its rocky seacoast to thick inland forests. 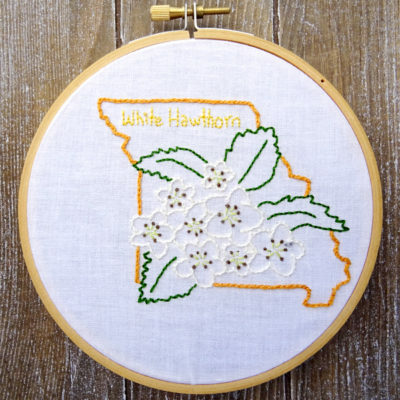 Over 75 species of Hawthorn grow in Missouri. 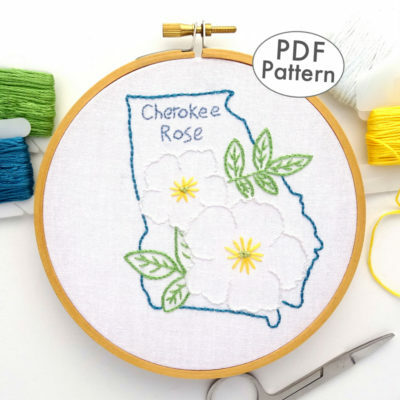 This small tree lines streets and yards from the Ozarks to the river plains. 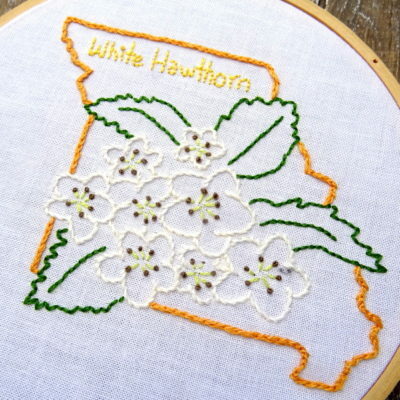 Every spring, Hawthorn trees produce globe-like clusters of pretty white blossoms followed by tiny apple-shaped fruit in the fall. The Hawthorn flower was named Missouri’s official state flower in 1923.